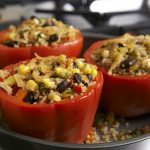 These macaroni and cheese stuffed mini peppers make a great after school snack or a quick lunch for kids. 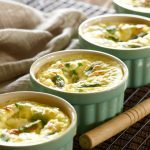 To please the grown-up palette, fill with homemade mac and cheese and then top with a Mexican cheese blend or some extra spices for some kick! Wash the peppers, cut in half, remove seeds and ribs. Trim a very thin piece off the bottom of the peppers to allow them to sit upright in the baking pan (be careful not to make a hole as the filling may fall out). 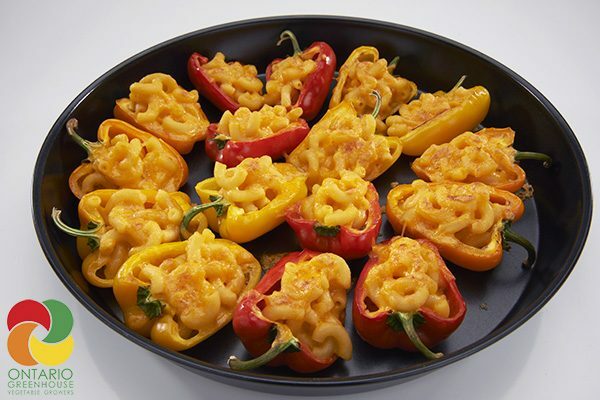 Fill the centre of each pepper half with approximately 1 tbsp (15 mL) prepared macaroni and cheese. Top each half with 1 tsp (5 mL) shredded cheese. Bake in preheated 350ªF (180ºC) oven until the pepper is softened and the macaroni and cheese is bubbling. Remove from oven, cool slightly; garnish if desired with one or all of the optional garnishes.